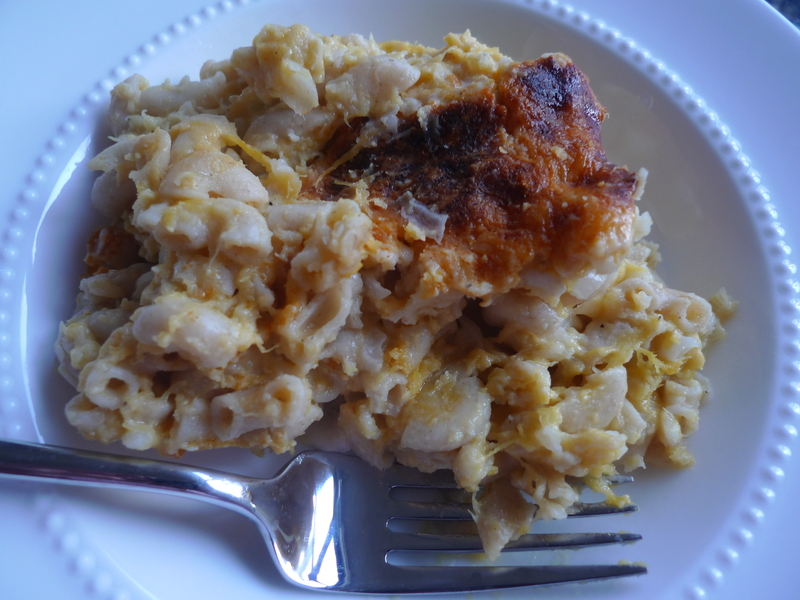 After several failed recipes, I finally made something I can blog about. 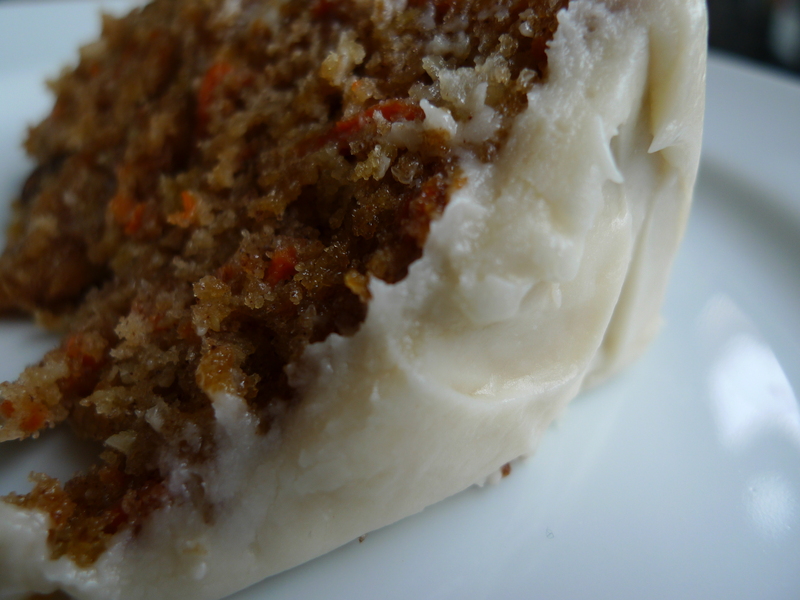 Carrot cake. I could probably eat anything with cream cheese frosting, but this cake is something I would consider eating all on its own. 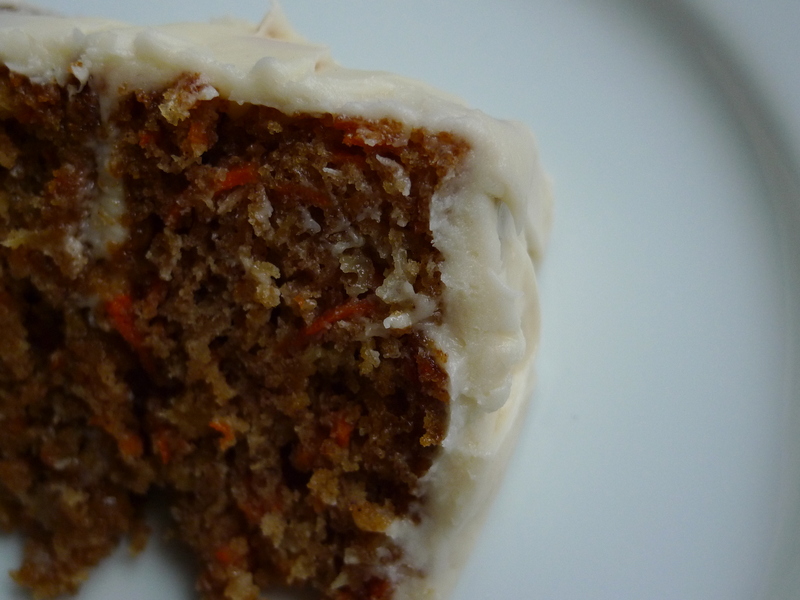 It’s moist, sweet, and I can tell myself it’s healthy; it has carrots. I suggest you tell yourself the same. Preheat oven to 350 degrees. Grease two 8- inch baking pan. Set aside. In a large bowl, mix together sugar, oil, eggs, vanilla and buttermilk. Stir in carrots, coconut, vanilla, and pineapple. In a separate bowl, combine flour, baking soda, cinnamon, and salt; gently stir into carrot mixture. 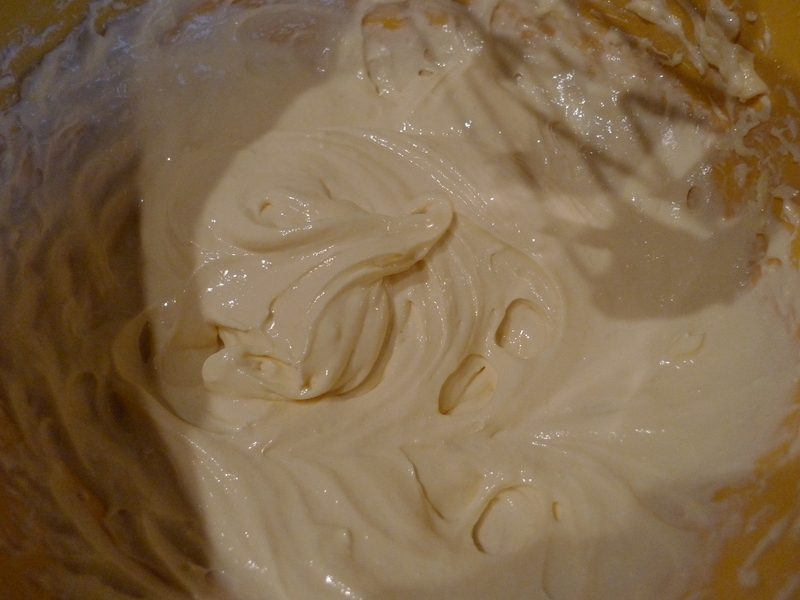 Spread batter into prepared pan. 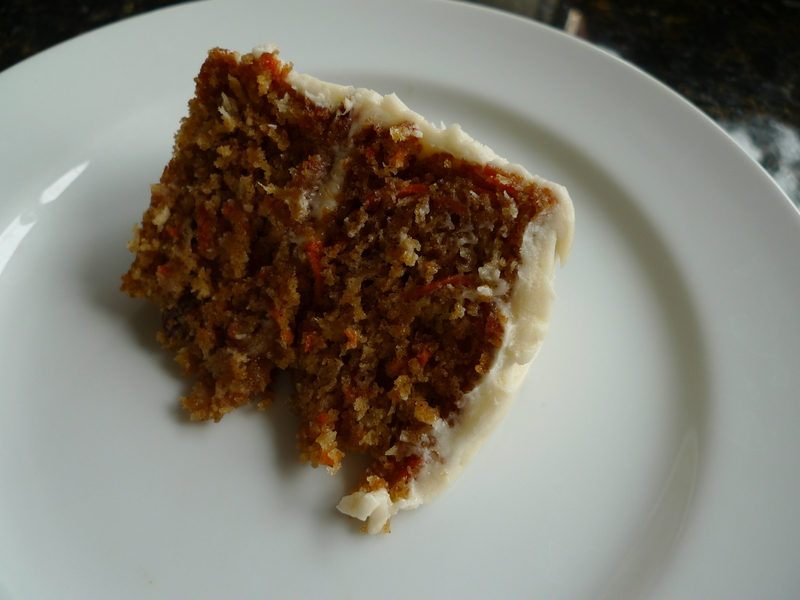 Bake for 55 minutes or until a cake tester comes out clean. Remove from oven and cool in pan for 10 minutes. Remove from pans and cool completely on a wire rack. In a medium mixing bowl, combine butter, cream cheese, vanilla, and confectioners sugar. Blend until creamy. Frost cake as you would any two layer cake: begin with first layer. 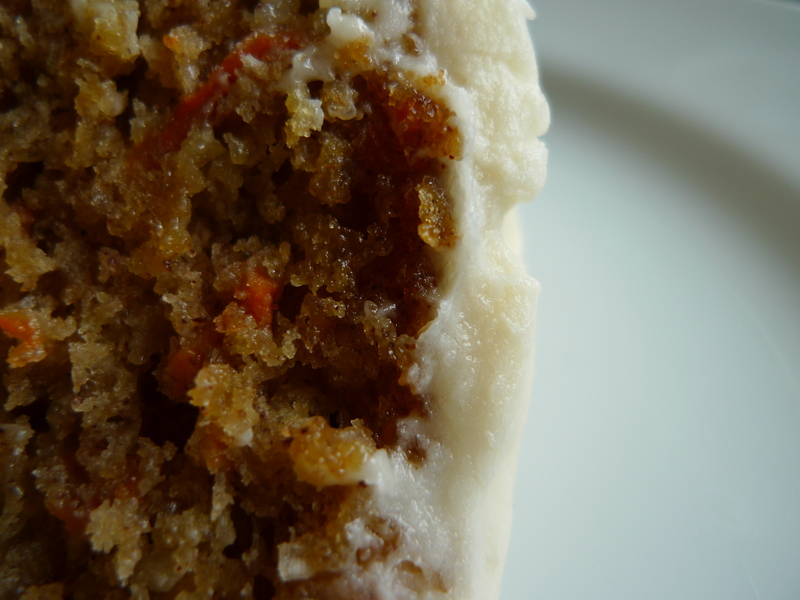 Place 1/4 of cream cheese frosting on top and spread across top of cake. Add second layer and place remaining frosting on top, working frosting down sides of cake and around. Smooth entire surface (or create waves if you want that look). 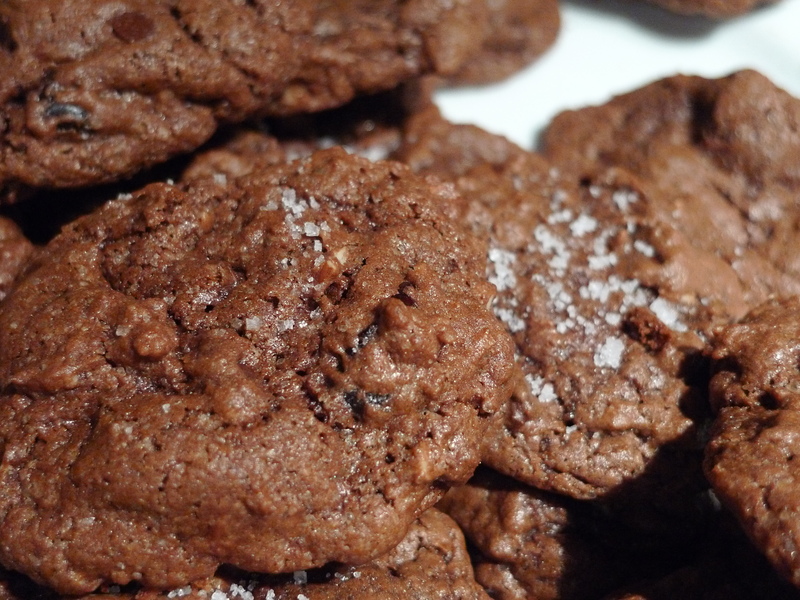 I’m not saying emotional eating is a good thing, but sometimes you just want need a cookie. It makes you feel better and it helps you realize you can face whatever issue you are working through…so maybe it is kind of a good thing (as long as you don’t eat your way into tomorrow). 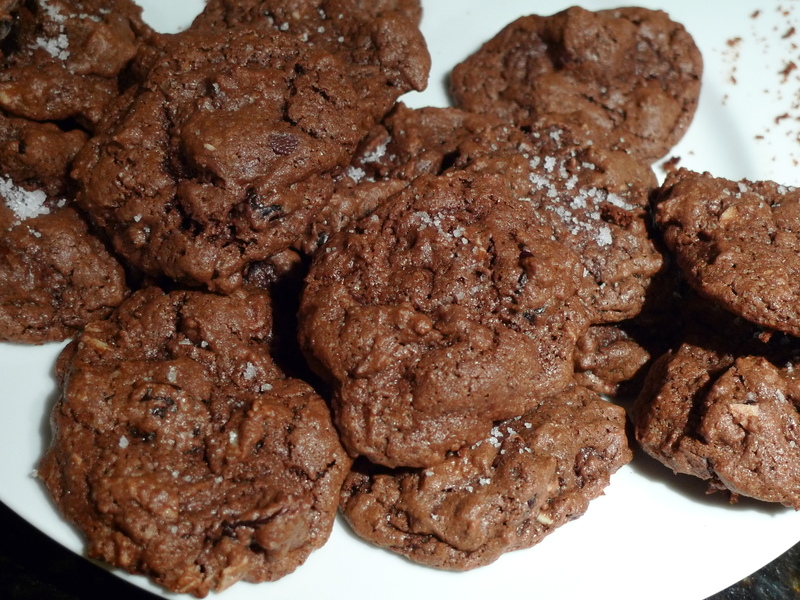 I found a recipe for chocolate cherry cookies, and decided to add sliced almonds and some more almond flavor – a great addition when there are cherries involved. And what I really love about this recipe? It doesn’t involve a ton of butter. You can have a few cookies and not feel as though your emotional eating has left you with 5 pounds of regret. Sift together flour, cocoa, baking powder, baking soda and salt in a medium bowl. 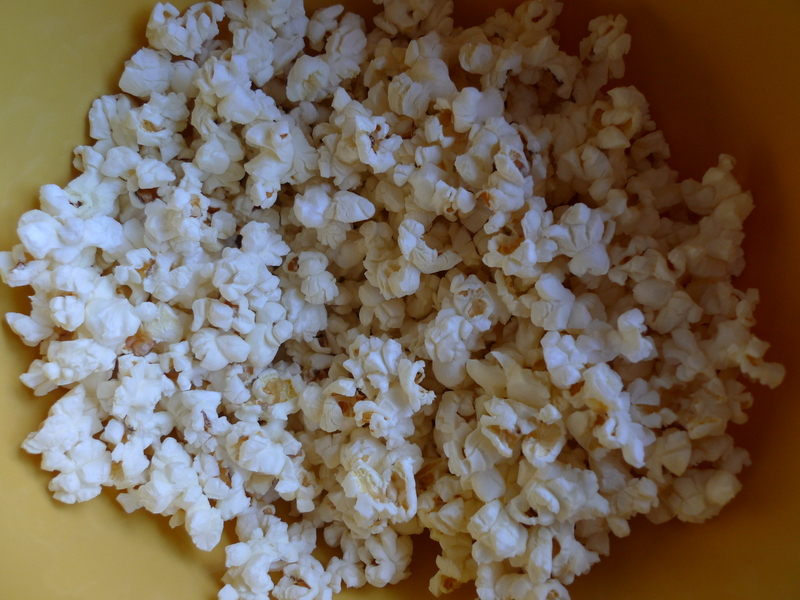 Place sugar and butter in a large bowl. Beat with a mixer at high speed until well blended. Add eggs one at a time, beating well after each addition. Beat in vanilla and almond extract. With mixer on low speed, gradually add flour mixture. Beat until just combined. Fold in cherries, chocolate chips and sliced almonds. The almonds will break up. Drop by tablespoonfuls 2 inches apart on to baking sheets coated with cooking spray or lined with a silpat or parchment paper. Bake for 12 minutes or until set. Remove from oven; cool on pans 5 minutes. Sprinkle with fleur de sel if desired. Remove from pans and cool completely on wire racks. It’s been too long since I’ve posted, but it was the holidays after all. 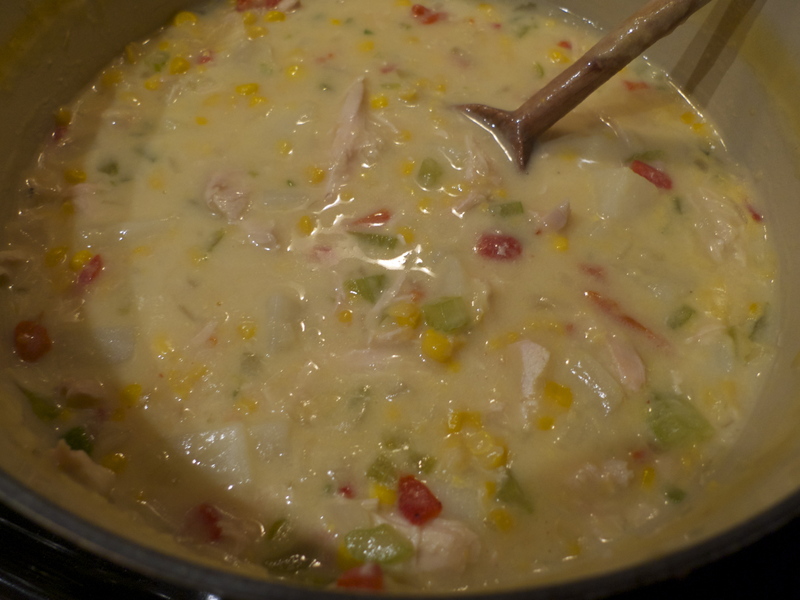 To make up for it, I’m posting a real gem (woah, I almost spelled that jem…like the 80s cartoon) of a recipe – Chicken Corn Chowder. Its a stick to your bones kind of soup that we ate every last bit of – the entire pot. I can’t say that about every soup I’ve made. In addition to the corn and chicken, it has roasted red peppers and potatoes and a little kick from a jalapeno. If you don’t finish the entire pot I’d be mighty surprised. 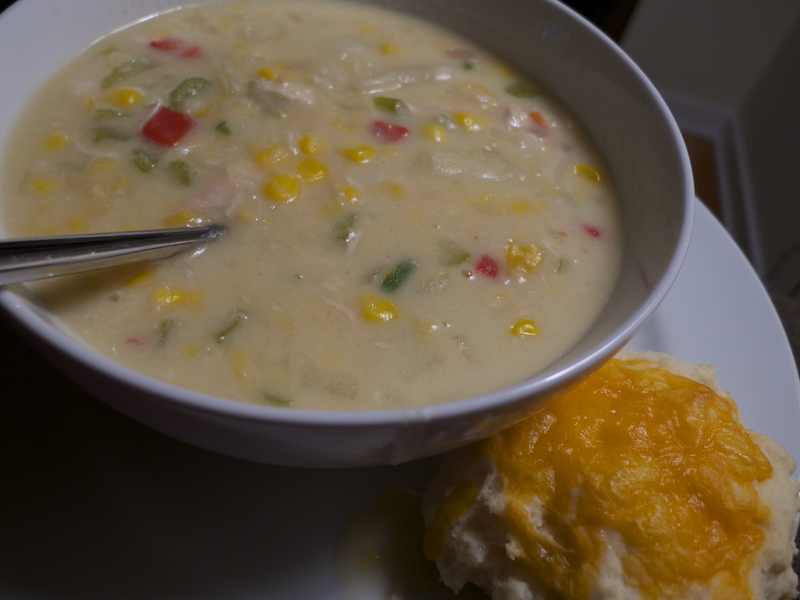 Add in some biscuits and you have a great winter dinner. I do love blondies – a rich vanilla brownie – and I love them even more with white chocolate. I thought my recipe needed to stop there, but I was wrong (so, so wrong). 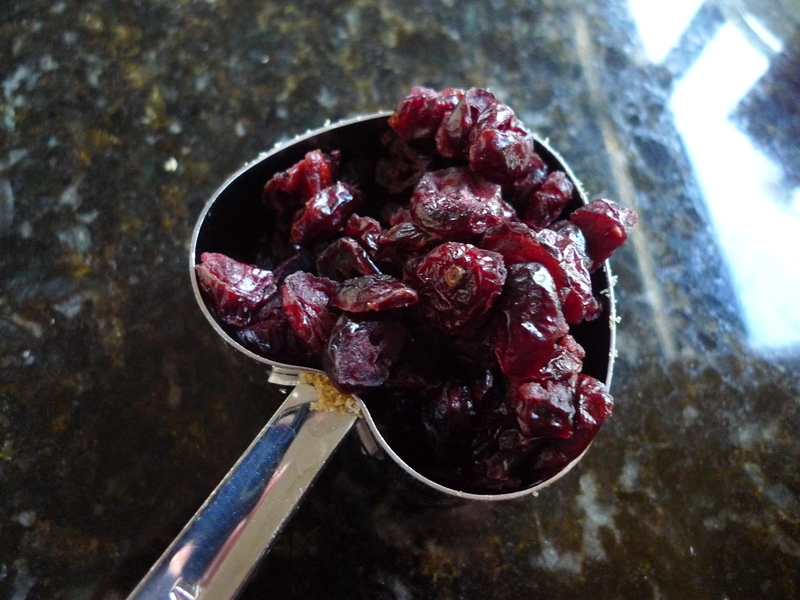 There is so much more to add like dried cranberries, popcorn, and then some more dried cranberries, thanks to my enlightenment from the Whole Foods “Whole Deal” booklet. 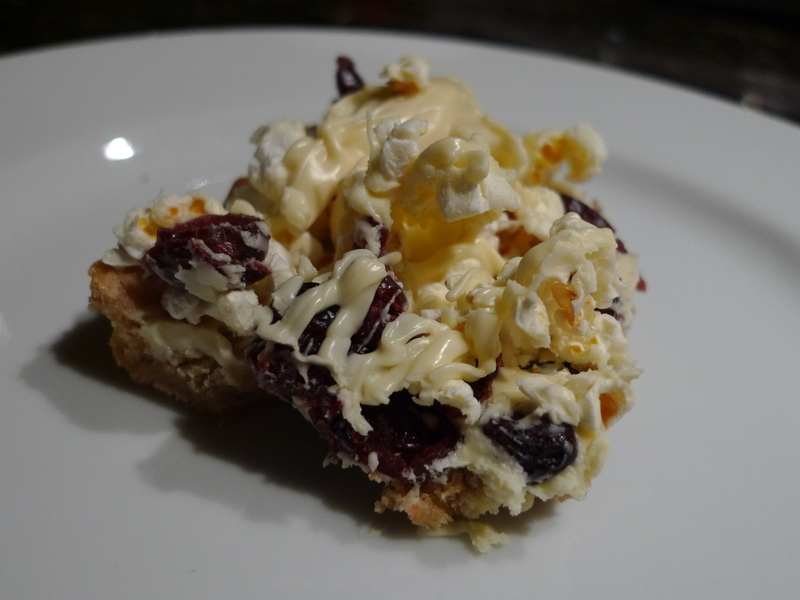 I think back on my days of just plain blondies with white chocolate, and think how naive I was. To think that was all there is. 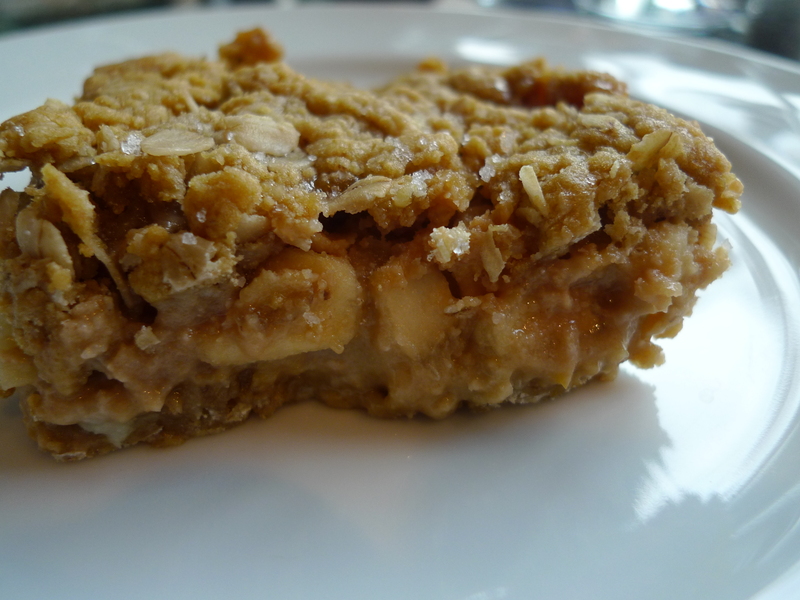 I changed up the recipe from the Whole Foods version because I like a thicker blondie base. There are also some keys in the recipe to helping make the added toppings stick that I’ve included below. Tis the time of year for Festive Garland Blondies. 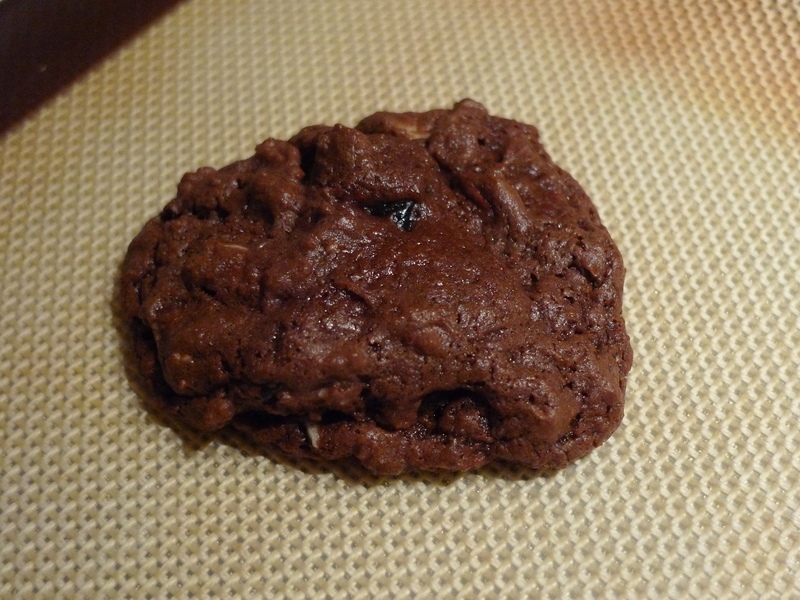 *teaser* next recipe will be a brownie version! Spray a 9 inch square baking pan with non-stick spray, set aside. In a medium bowl, whisk together the flour, baking powder, salt and baking soda. 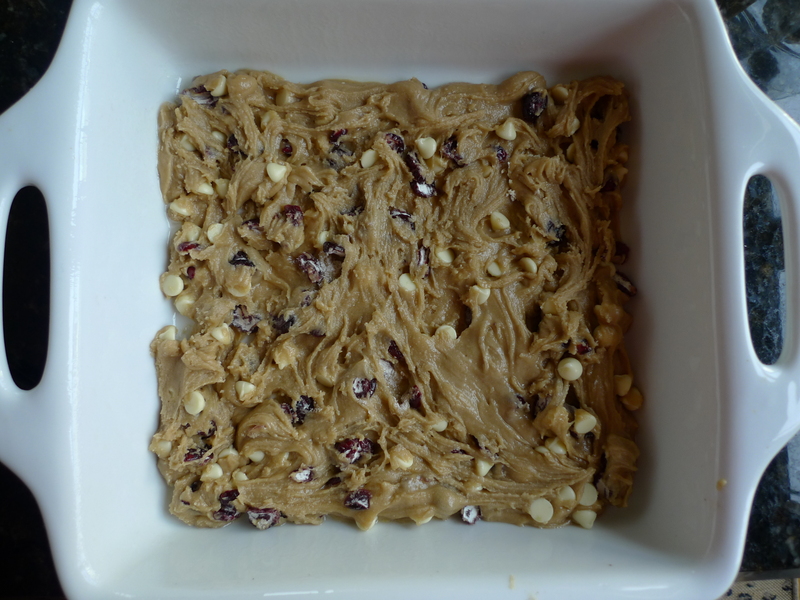 Add 3/4 cup cranberries and 1/2 cup of the white chocolate chips or chunks and toss to coat. 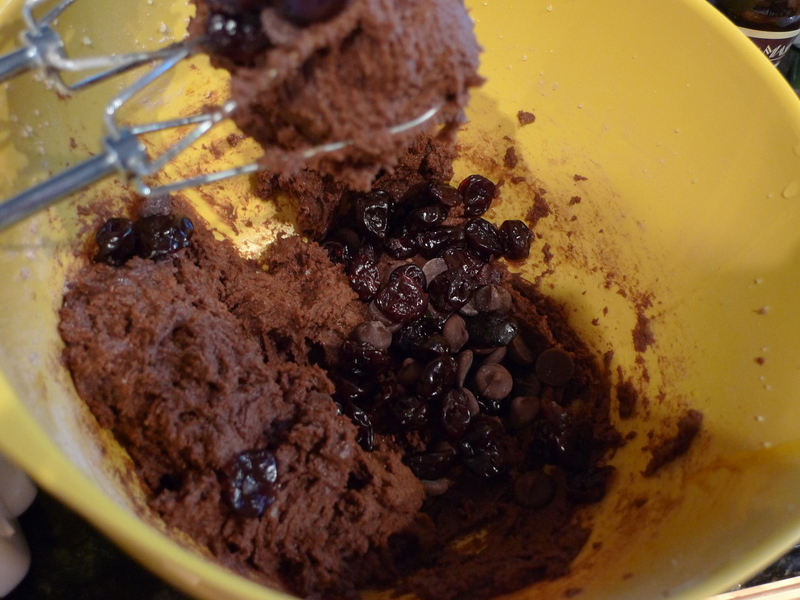 In a large bowl, beat together the butter and sugar with a hand mixer until fluffy. Add egg and beat until incorporated. Add flour mixture and beat until just combined. Spoon batter into prepared pan and smooth top. Bake until just cooked through and golden brown, about 20 minutes. 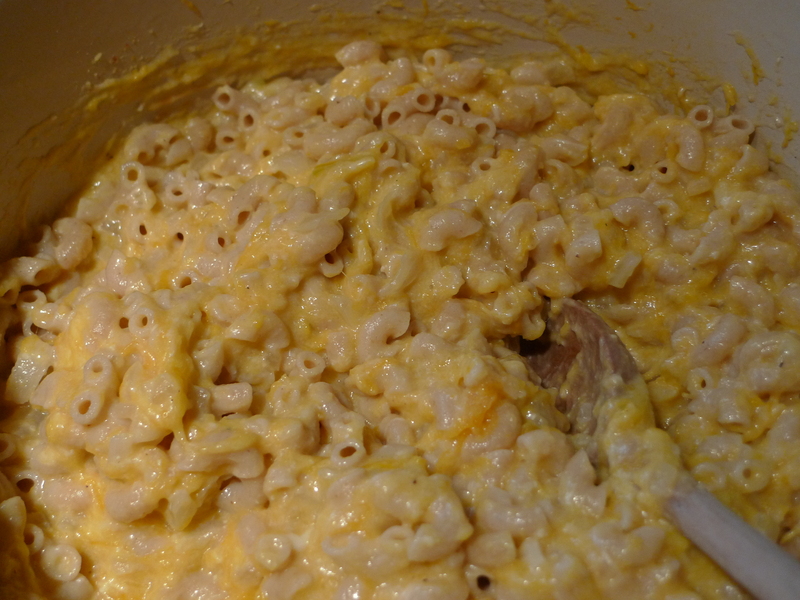 Set aside for 5 minutes (but you want to work with it still warm so topping will stick). 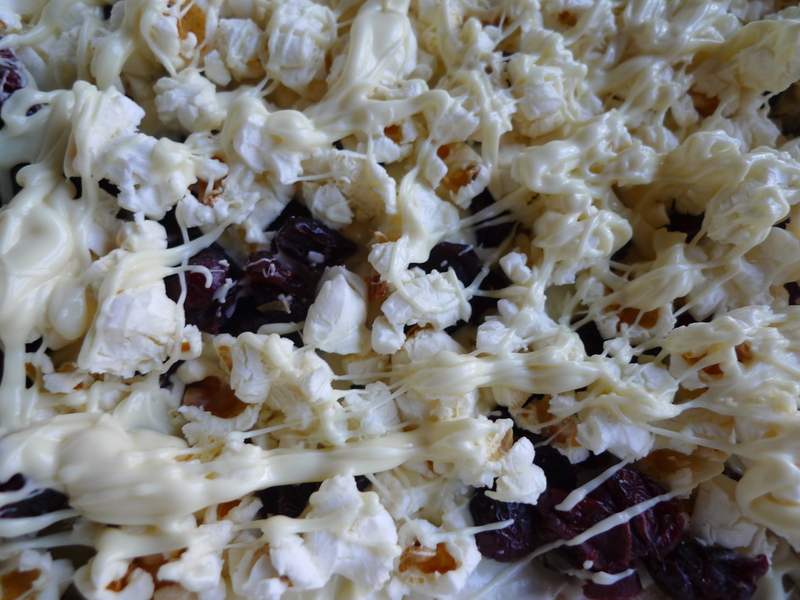 Melt remaining white chocolate. 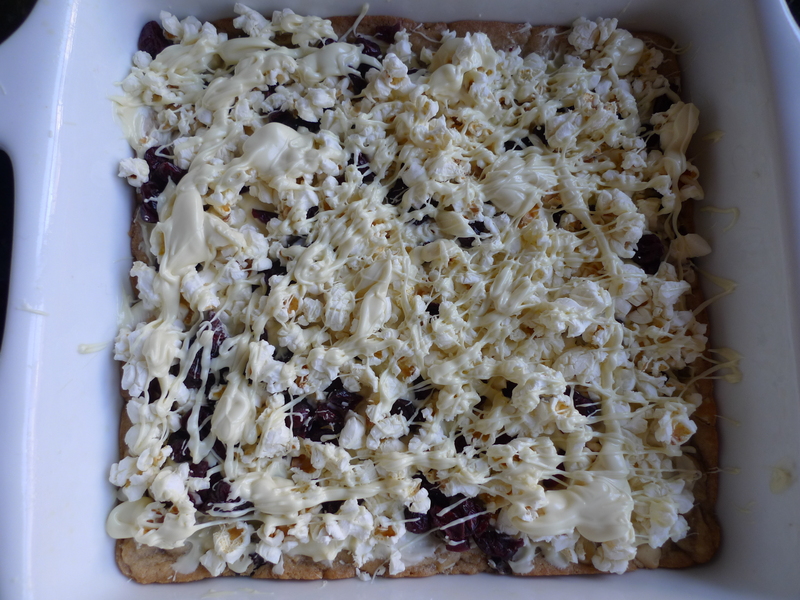 Spread 2/3 of the melted chocolate over bars and immediately scatter remaining cranberries and popcorn over the top, pressing down gently to help stick. Drizzle remaining chocolate over bars. Set aside until chocolate sets, about 15 minutes. Cut into squares and serve. Store in a sealed container for a few days. Another mommy recipe (by which I mean a recipe from my mother) with a few of my touches. Not that it wasn’t perfect to start with. I love this dessert/breakfast/snack. It’s perfect for fall, and a great “thing to have on hand” when you are going to be having many guests or if you are in need of a hostess gift. The ingredients list is not long and you will find you have most in your pantry. The prep is a cinch and before you know it, your house will be smelling “perfectly wonderful appley baking like” (something that was actually said upon opening our front door). 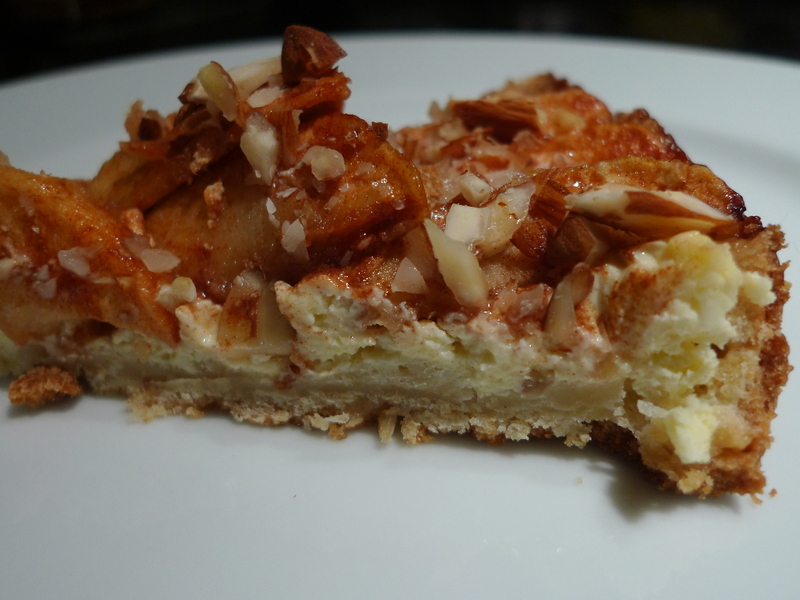 I feel I am using the term perfect way too easily here, but Bavarian Apple Torte is just, well, kind of perfect. Preheat oven to 450 degrees. For crust, cream the butter and sugar. Beat in vanilla. Gradually blend in flour and salt. Mixture will be crumbly. Pat onto the bottom of a 9-inch spring form pan. Bring crust up about 1 1/2 inches high around the sides. 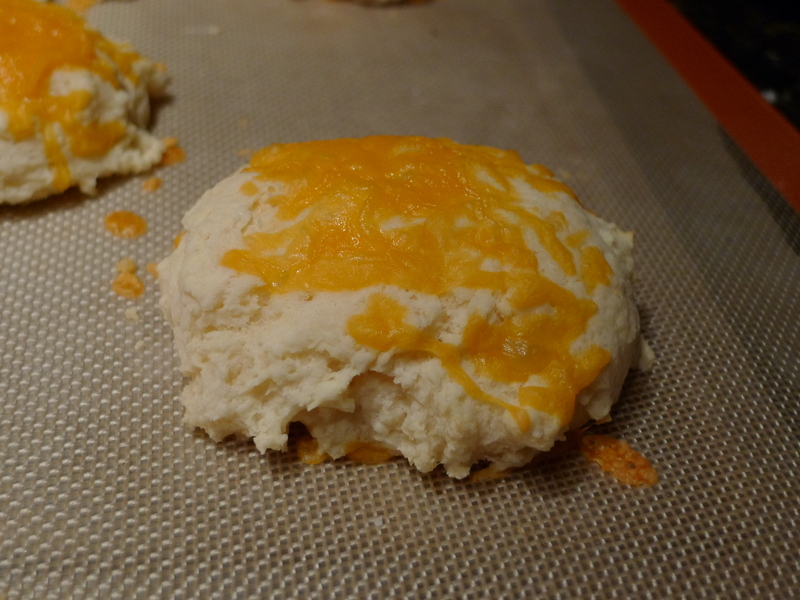 For the cream cheese filling, beat together the cream cheese and sugar. Add egg and vanilla, blending well. Pour into pastry lined pan and spread filling to the edges. For topping, combine the sugar, cinnamon and nutmeg. Toss apples in the mixture. Place over cream layer in a domino pattern (or just spoon them on top – totally fine. Tastes the same). Sprinkle with nuts. Bake for 10 minutes at 450 degrees. Reduce oven temperature to 400 degrees. Continue baking for 25 minutes. Loosen torte from the rim of the pan. Cool before removing and serving. I prefer it chilled. 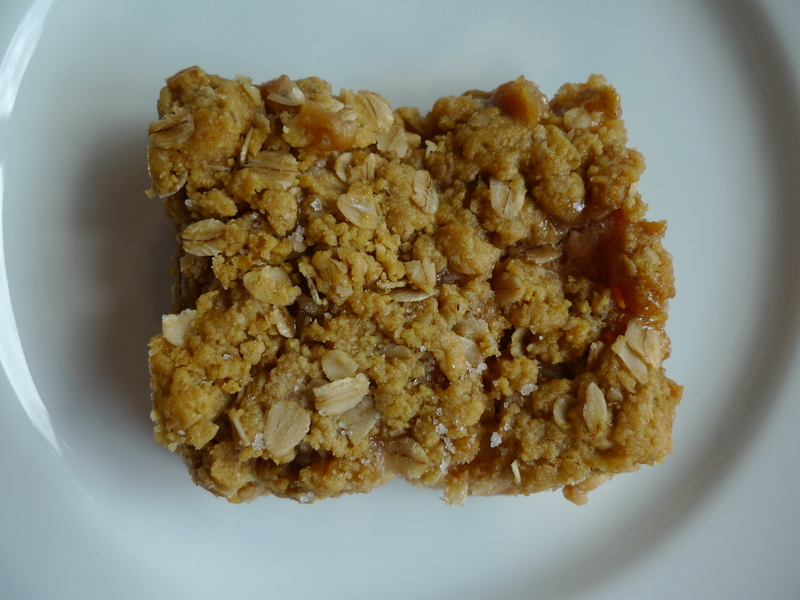 Since my experiments in making caramel apples with homemade caramel all backfired, I found a new method of delivery for caramel apples – in the form of bars. This recipe brings all those flavors into an oat filled, crunchy, gooey, yummy little (or big) square. I find eating caramel apples to be a little difficult. The caramel gets all over, I have the tendency to bump the apple into my chin, and the stick in the middle is hard to navigate. At the end, the apple often falls off into pieces. With bars, there is no mess, no fuss, no muss. They are very sweet and a little bit salty, something lacking in caramel apples unless they had a sprinkling of sea salt (which would be a great addition). And now that I have the ideas flowing, adding peanuts or peanut butter would be awesome in this recipe. 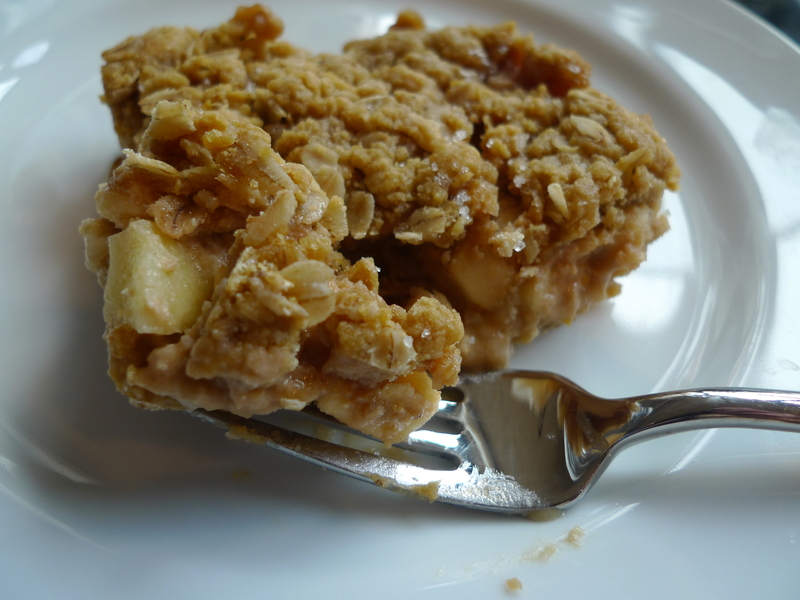 Some crunchy chopped peanuts on the top or using peanut butter instead of butter in the crust…I might have to revise this recipe at some point, but for now the caramel and apples work mighty well. 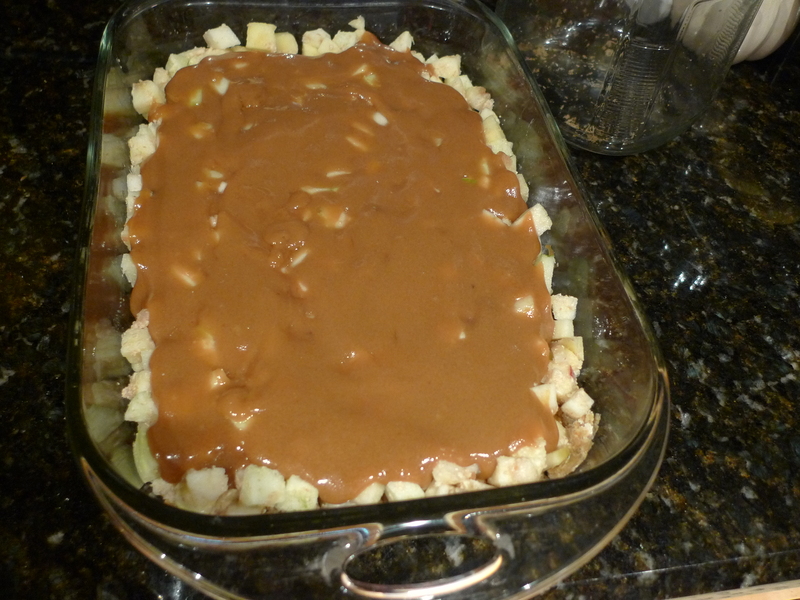 If you are making the caramel, take out an 8″ X 8″ glass baking dish. Your caramel will cool here. Dice butter into even sized cubes. Add sugar to a medium sauce pan and add 3 tablespoons water. Cook over medium heat until sugar is dissolved. Add butter and stir slowly until combined. Add corn syrup and half and half; mix. Cook and stir on medium for one minute, then to medium to high heat until boiling. Once boiling, clip on a candy thermometer. Reduce heat to medium and keep a steady boil, stirring occasionally. Watch the temperature – you want to reach 240 degrees. Remove from heat, add vanilla and salt and stir. 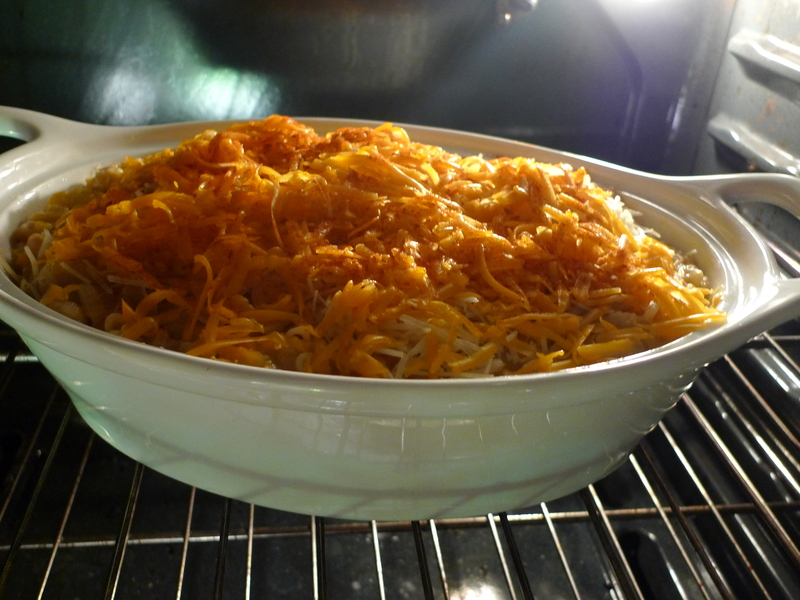 Pour into baking dish and set aside. For the bars, preheat oven to 400 degrees. 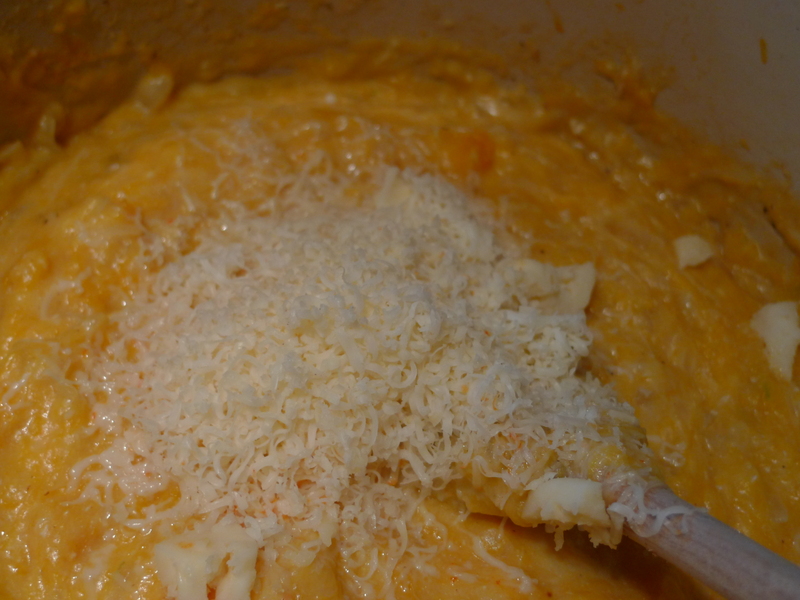 In a large bowl, cream together the brown sugar, butter and pumpkin until smooth. Combine flours, oats, baking soda and salt; stir into the creamed mixture until well blended. Set aside 2 cups of this mixture. 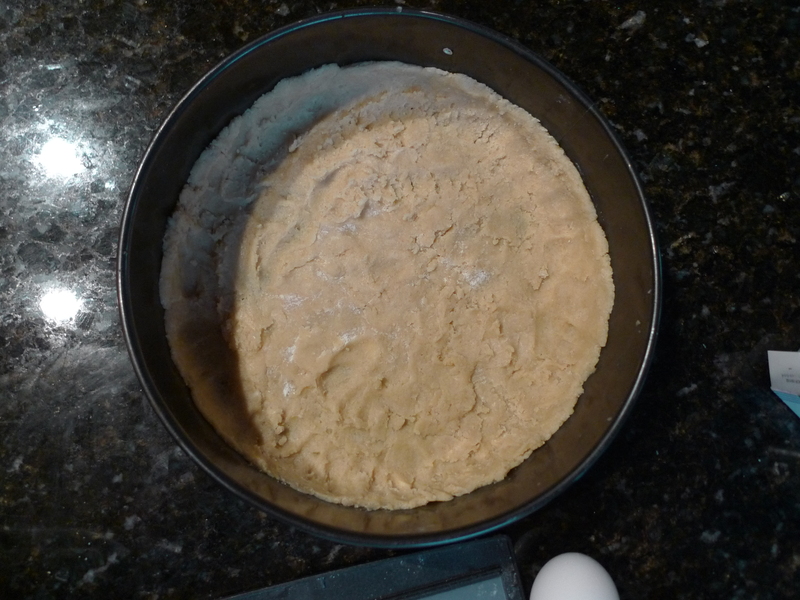 Press the rest of the mixture into the bottom of an ungreased 9″ x 13″ baking pan. 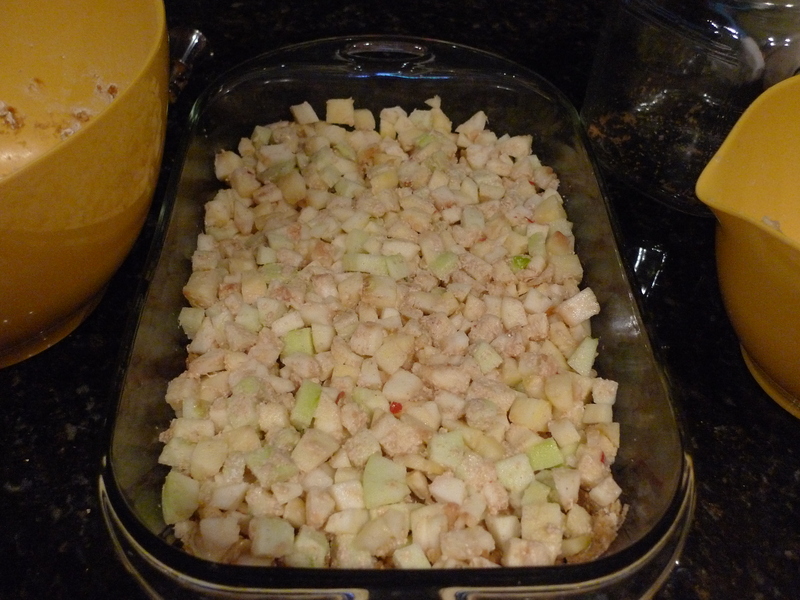 In a medium bowl, toss diced apples with lemon juice. Add the 3 tablespoons flour and toss again. 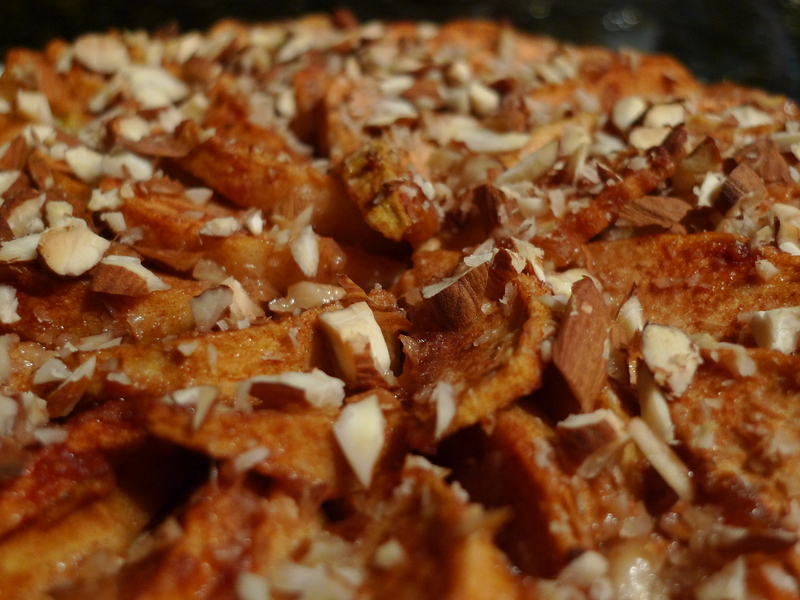 Spread apple mixture evenly over the crust. 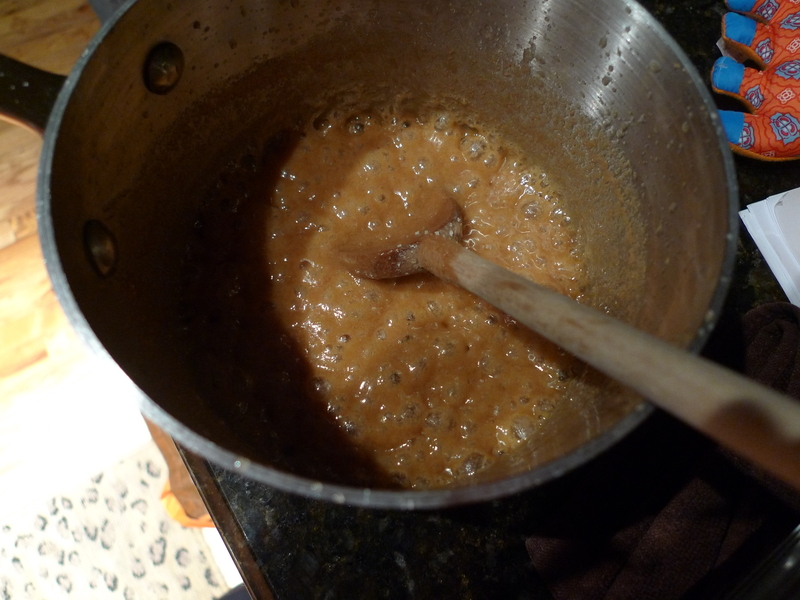 If caramel has set at all, microwave for 10 to 20 seconds, or until pourable. 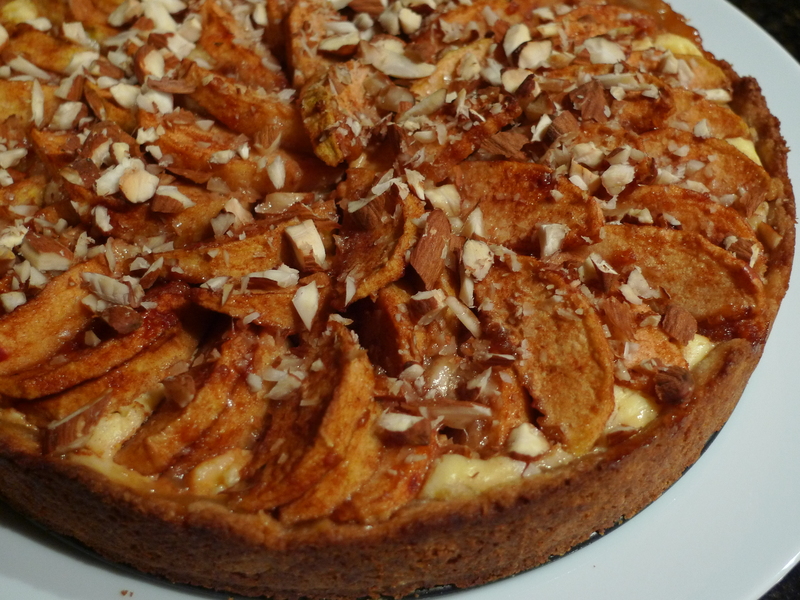 Spread over apple layer. Sprinkle the reserved oat mixture over the top of the caramel layer. Press down lightly. Sprinkle with sea salt or fleur de sel. 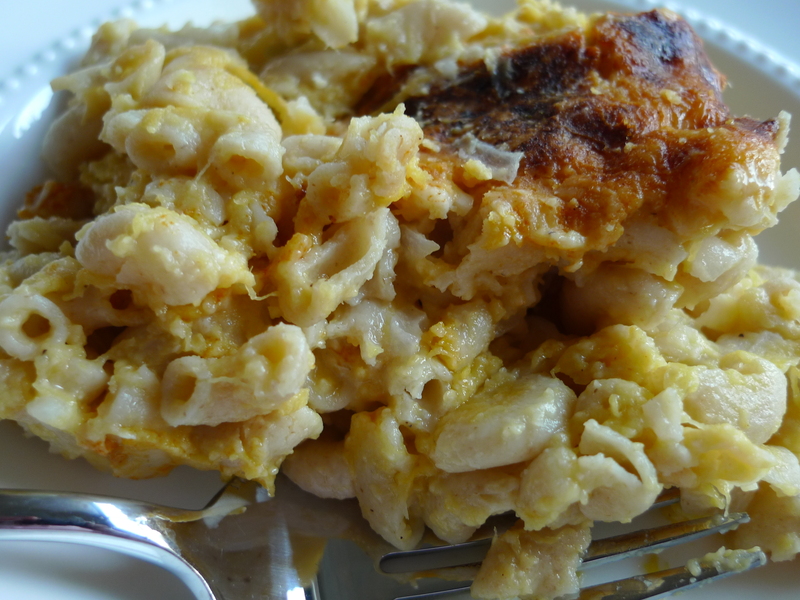 Bake for 25 to 30 minutes, until the top is golden brown and the apples are tender. refrigerate and cut when room temperature or cool. Refrigerate left over bars.